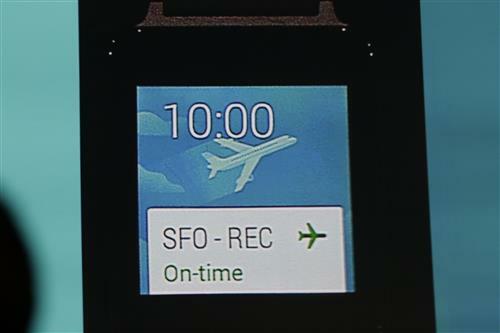 Music controls on the watch activate the music app on the phone. 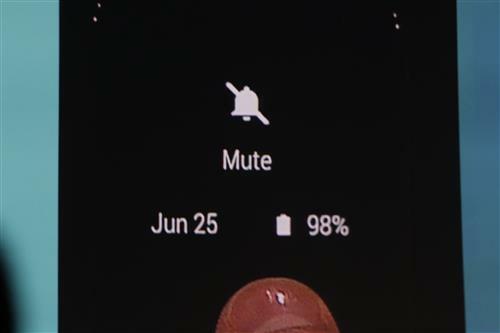 Do Not Disturb, accessed by swiping down, can silence notifications. Nice, setting do not disturb is as easy as swiping down on the display. Simple. 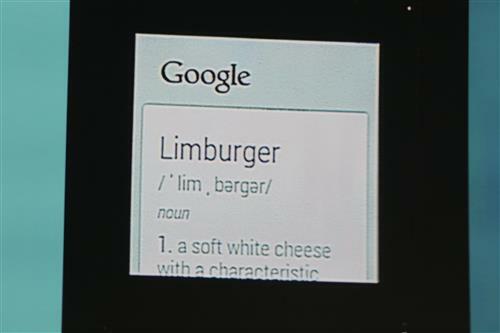 But the Limburger cheese voice recognition works. As is trying to get the peanut butter out of the bottom of a jar. 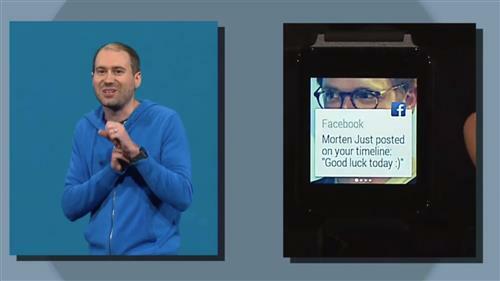 Ah, live demos with tech flubs. Oops, demo fail. Voice recognition in giant halls always a bit of a gamble. First demo doesn't stick for the double-sided peanut jar. 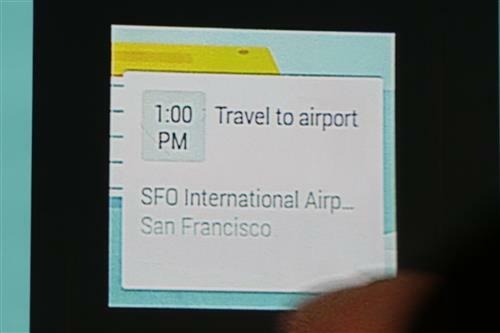 "Remind me to check my mailbox when I get home." Come on, now. Who isn't giddy at checking their mailbox for packages whenever they get home? 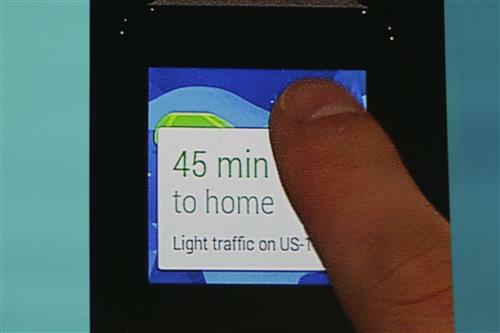 Do we really need a smartwatch for this? 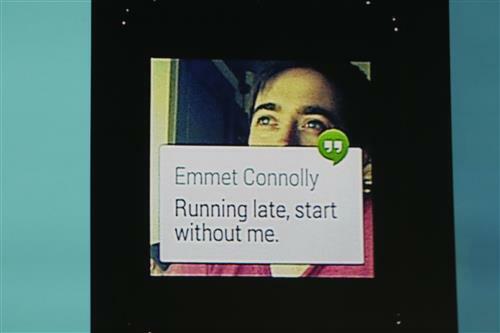 People check Android phones more than 125 times every day, and Wear aims to surface important, brief communication. Demo of Wear: Check weather forecast, commute time, shipping tracking, receive calls and see who it is at a glance, add reminders or ask questions via voice. 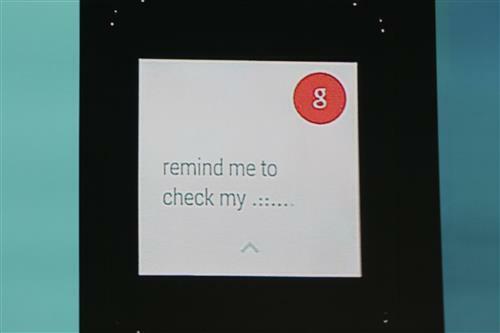 Reminders are immediately synced from watch to phone. 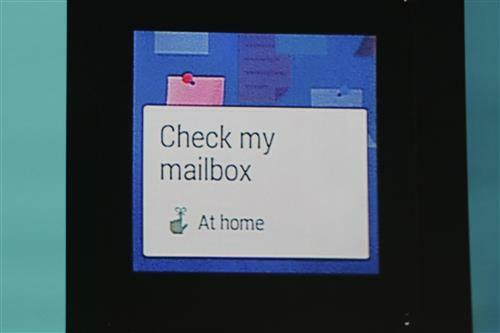 Interestingly enough, this Android Wear interface doesn't have a lot of the material design ideas that Google presented earlier. There are white cards, but none of those tactile paper layers. 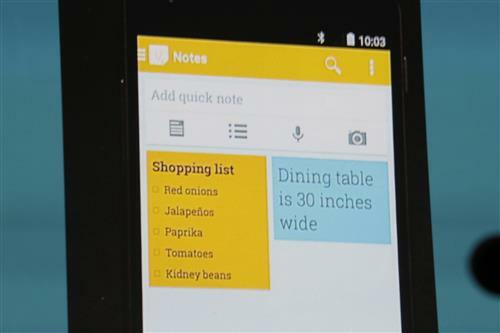 Looks like they dumbed down the UI for devices with less processing power. Lots of watch faces, natch. 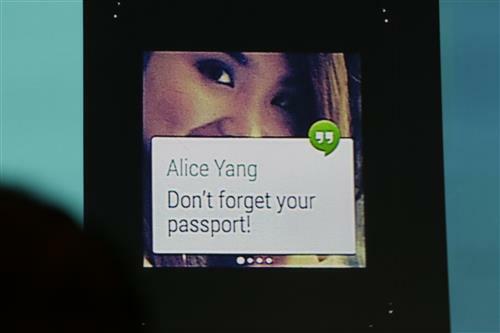 Android Wear will show a mix of cards from your phone and the watch itself. I gotta say, the display quality on the G looks awful. I know it's small and on a wrist, but the contrast and clarity are very poor. And my purse is always overflowing with junk, I don't know about you guys. 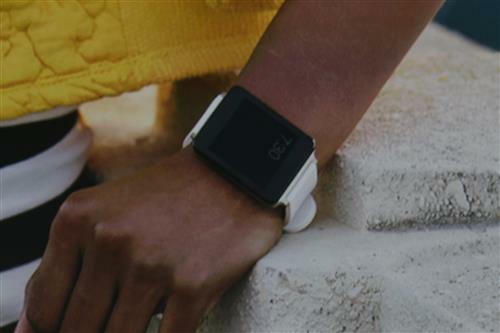 Wondering why you want a smartwatch? There you go. Reaching for your phone 125 times is a bit tedious, especially if it's in the bottom of your purse. 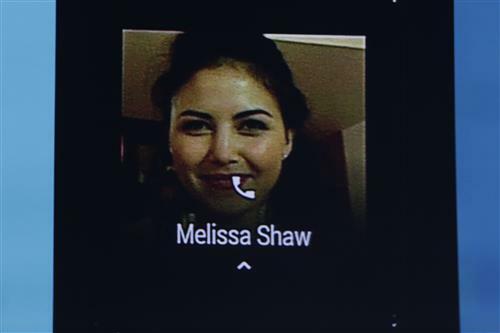 Android Wear can support square and round form factors. 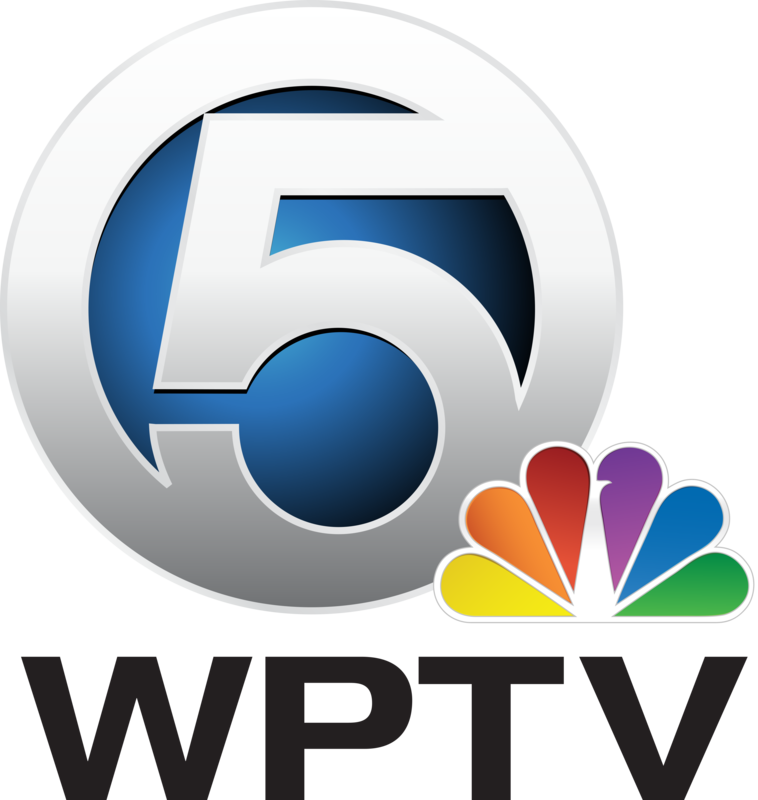 Watch will provide answers to smoking questions and act as key in multiscreen world. 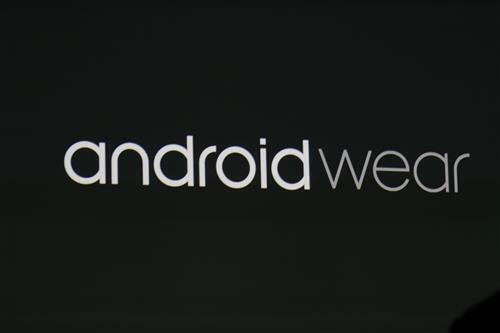 "People check their Android phone 125 times every day." 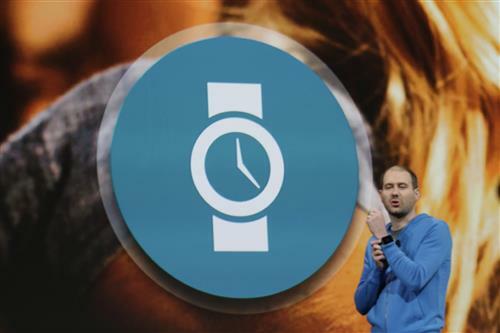 "The watch will act as your key in a mutli-screen world," says Singleton. 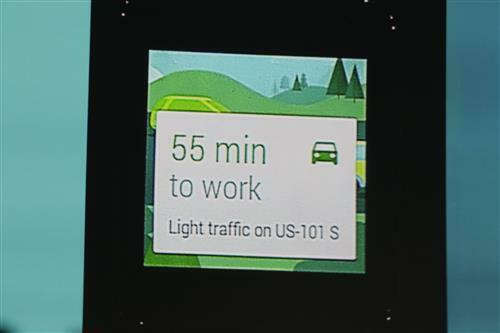 Onto Android Wear. 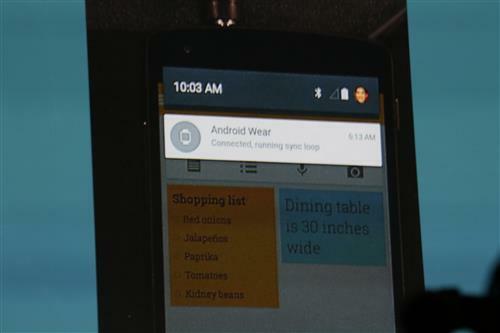 Google showed off the UI in March. 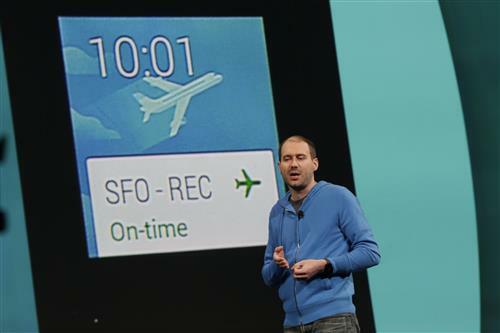 He appears to be wearing the LG G watch. David Singleton, dierctor of Android engineering takes the stage.